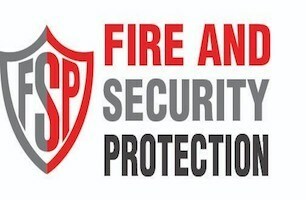 Fire & Security Protection Ltd - Alarms/Security based in Whitfield, Kent. Welcome to Fire and Security Protection. We are a well established company that is based in Dover, Kent and offers a wide range of services. We are able to supply our customers with some of the best deterrents on the market against burglars. We offer round the clock protection from the emotional trauma of burglary, it’s not always what they take, it’s what they leave behind. We can provide a wide range of cost effective solutions to help you secure your home or business. We can install and maintain security alarms, smoke and fire alarms, sprinkler systems, emergency lighting, intercoms and much more. As a company we will always do our very best to ensure all of our customers are left satisfied with the services that we have provided. Our team are highly experienced and will provide you with a high quality and hassle free installation along with us being able to provide 24 hour support all year round. Please feel free to scroll through some of our main services that our company has to offer, if you would like further information on any of the services that we offer then please contact us and we will be happy to assist you further.